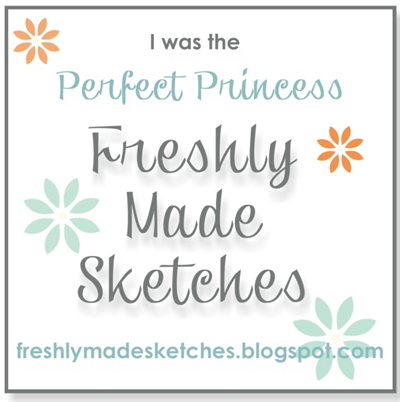 I love how you used these colors on your clean and sophisticated card this week!! Hm, perhaps if I get the en francaise I could join you for coffee!?! Love it! 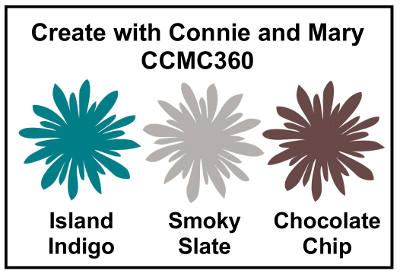 This flower looks very elegant with the subtle Smoky Slate shading. The simplicity really allows the flower to stand out beautifully! 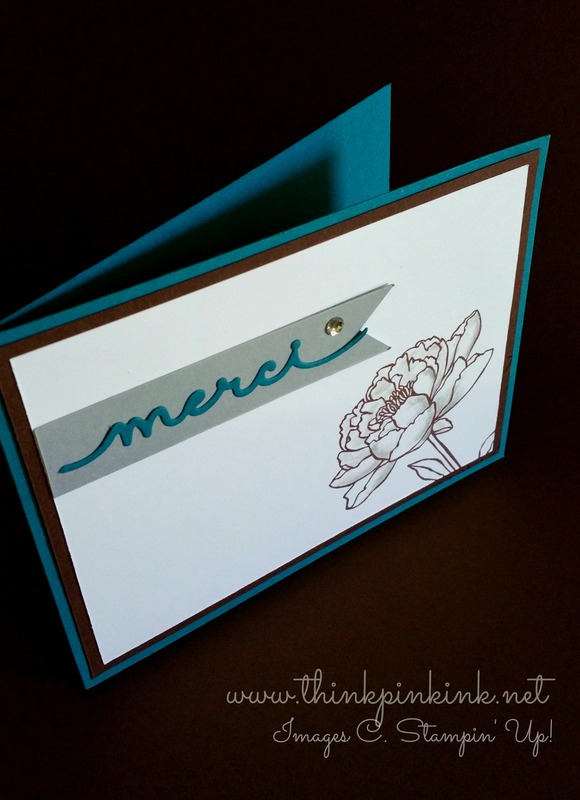 This is stunning in its simplicity Bridgette – I love the subtle shading on the flower and the die cut banner greeting, all the more special en francais of course! Such a pretty card! I love the simple design and the touch of Smoky Slate on the flower petals. Simple and elegant! So stunning!!! !